Here we are in December - where has this year gone? It's true, the older you get, the quicker time seems to go. The garden seems to have been somewhat confused too, but this is down to mild weather rather than the onset of middle age. 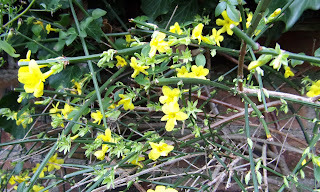 For instance, the winter flowering honeysuckle, which usually flowers in late January and through February is flowering now. This could mean that 1. it's just confused or 2. it's going to die and is having one last hurrah. I rather hope it's the first of these options. 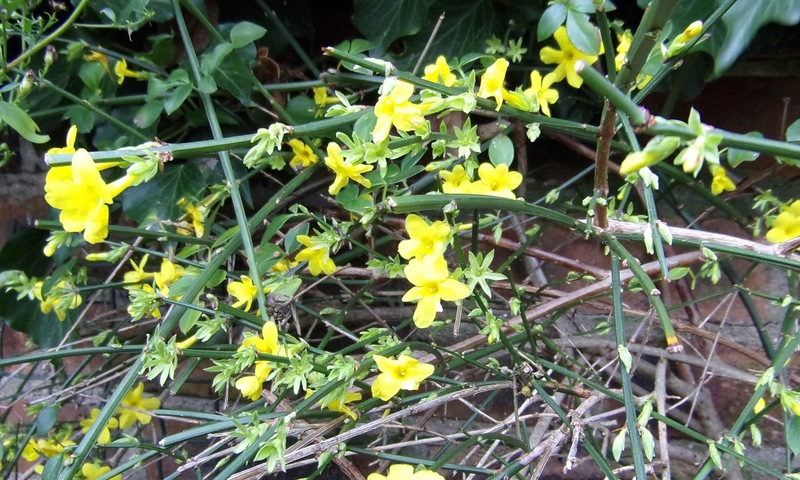 In the meantime, the winter flowering jasmine is doing what it should and is brightening up the dull weather with splashes of yellow flowers. It has a straggly appearance, but this is partly because I don't train it properly. I like the cheerful flowers though. 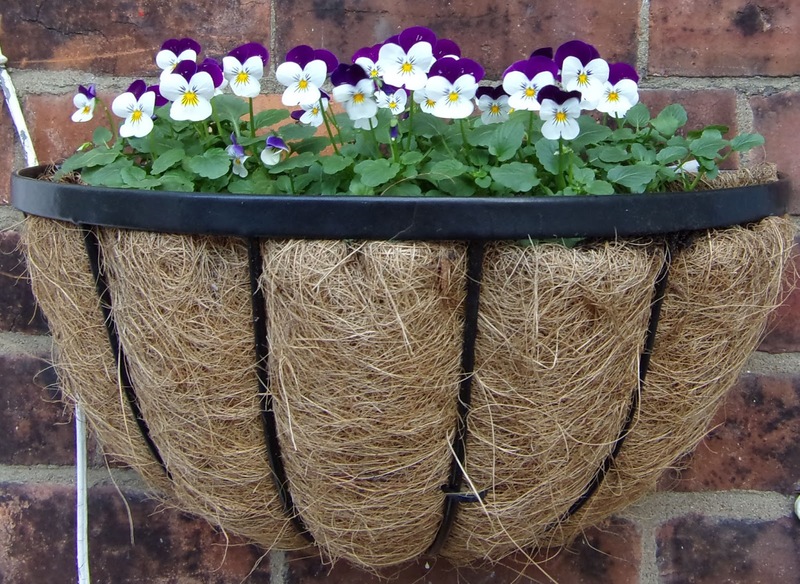 The cheerful violas in the wall basket at the front of the house are settling in nicely and make me smile. 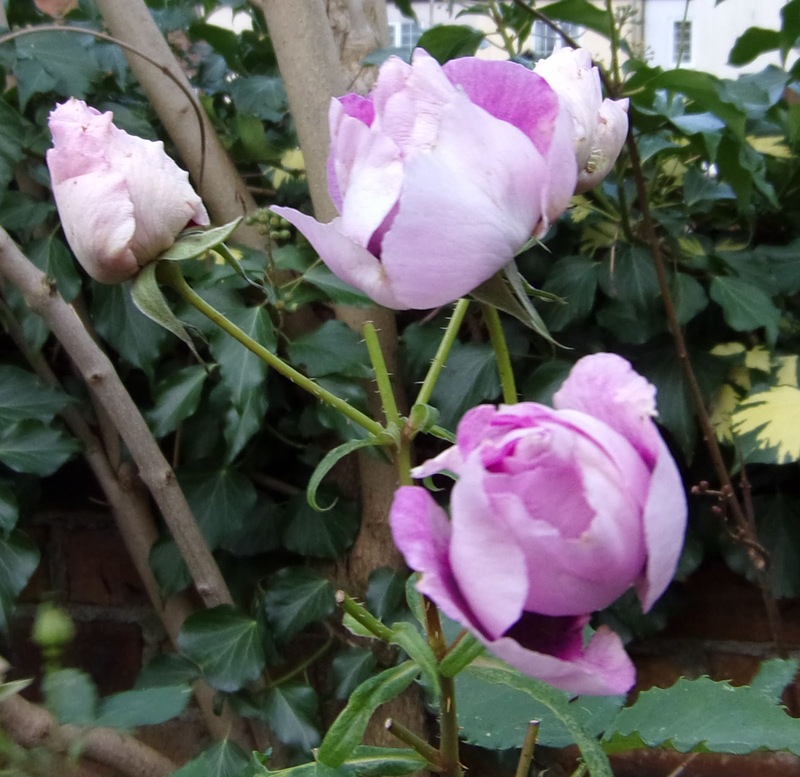 Rose Blue Eyes is still flowering, despite the battering it has received lately by the wind and rain. I have finally started to insulate the huge number of potted plants I seem to have slowly acquired over the years. Not one of my favourite jobs, it has to be said, but it may help those plants to survive whatever the winter has to throw at them. Whatever the weather, whatever the time of the year, there is always something in the garden to delight us, isn't there...? I hope your winter is kind to you. I hope our summer is kind to us. Thanks, EC. You're right - the garden is full of delights, no matter what the time of year. I'm keeping my fingers crossed about winter (and your summer). 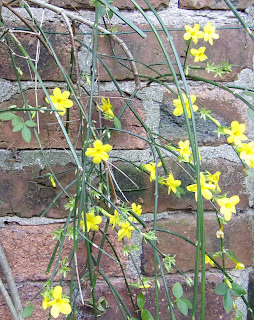 Your jasmin looks the same as ours, a bit wild but with lovely flowers :-)! Thanks, Mirjam. 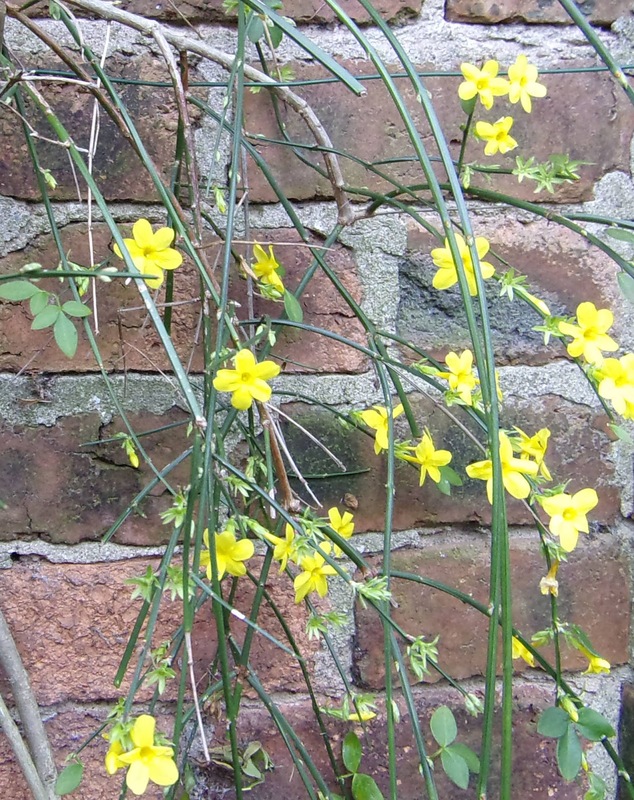 I think jasmines are supposed to look a bit wild (well, they are in my garden!). The violas are doing really well so far and I hope they continue flowering until Spring (fingers crossed). Your flowers look beautiful, I love how our gardens repay our hard work. Thanks Marlene. There is always something to see, isn't there? I do enjoy seeing the seasons change. Thanks, Amy. I hope the honeysuckle will be OK too - the scent on a sunny winter/spring day is beautiful! I am definitely enjoying the flowers.